News from America’s favorite pitcher/diarist/author. 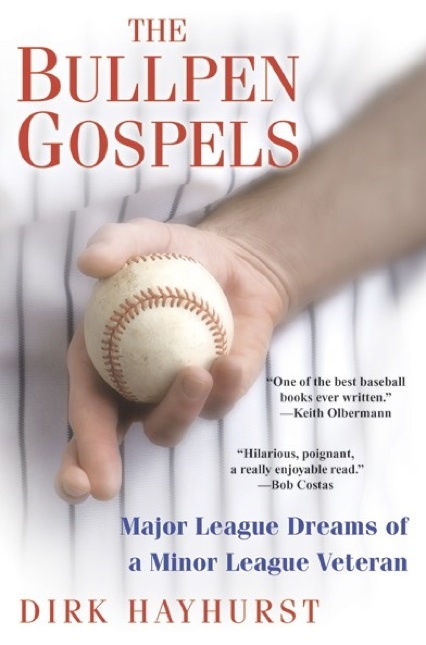 His book The Bullpen Gospels has made it to The New York Times best-seller list, and will debut this week as the 19th rated Non-Fiction Paperback in the nation. As we congratulate Mr. Hayhurst (who will remain in a state of giddiness until at least May 1), let me also note here something I left out from my Opening Day reporting. The first person at CitiField to express condolences for the passing of my father was Mike Vaccaro of The New York Post. Considering I was far from kind in reviewing his book here over the winter, I have to say that was as classy an act as I’ve ever been the beneficiary of, and whatever complaints I might have about the quality of the book, I have none about the quality of the author.